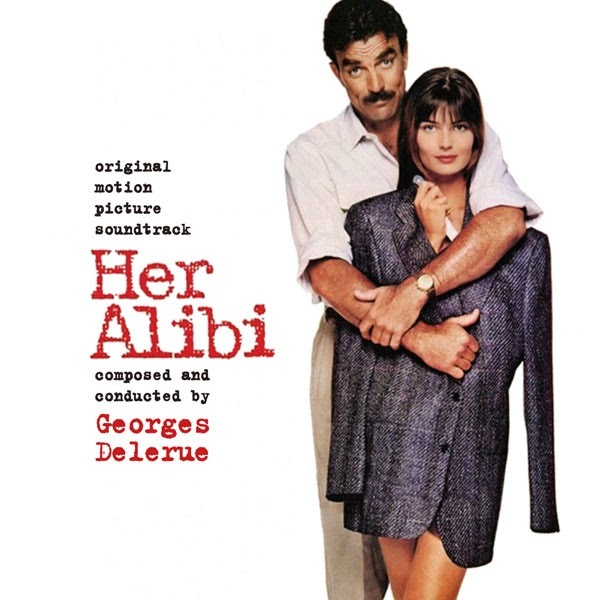 Prior to scoring Her Alibi, composer Georges Delerue had done his share of romantic comedies with elements of mock suspense (Partners, Maxie, Twins), and romantic music came as naturally to him as breathing. For Her Alibi he wrote a sincere romantic theme for Nina, the heart of the score, as well as a mischievous melody for Blackwood’s detective avatar, some lighthearted danger music for the Romanian bad guys, and several other melodic ideas and set-pieces for a rich work that complements the film’s comedy but also imbues it with a real sense of exoticism and romance. It would be one of five projects Delerue ultimately collaborated on with director Bruce Beresford. To present all of this music, Intrada was given access to the original session mixes made in December 1988, contained on four rolls of ¼” 15 ips two-track stereo tape and vaulted in pristine condition by Warner Bros. The album contains a complete body of previously unreleased (and in many cases, unheard) Georges Delerue compositions of the finest quality, filling a major gap in his available oeuvre. Phil Blackwood (Tom Selleck) is the author of a series of successful novels about a slick, ladykiller detective—but his imagination is trapped in a hopeless state of writer’s block. Enter Nina (Paulina Porizkova), a devastatingly beautiful Romanian woman he spots during one of his usual visits to court. She’s accused of murdering a man with a pair of scissors, but she’s just the inspiration Phil needs for his next book. He pretends to be a priest and provides her with an alibi, taking her in as a house guest to substantiate his lie. As he becomes increasingly infatuated with his living story idea, he also evades several near-death experiences ... and he’s afraid she might be behind them.